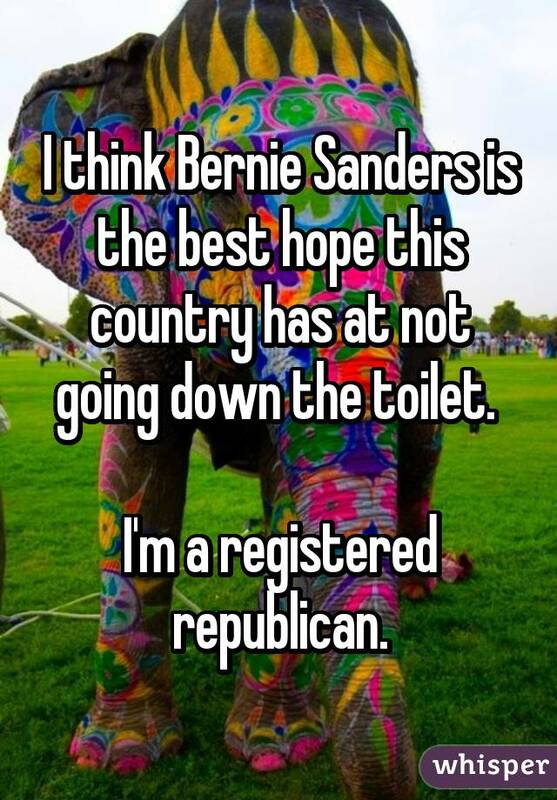 With the 2016 presidential race heating up, people are taking to as many outlets as possible to voice their opinions about potential candidates. 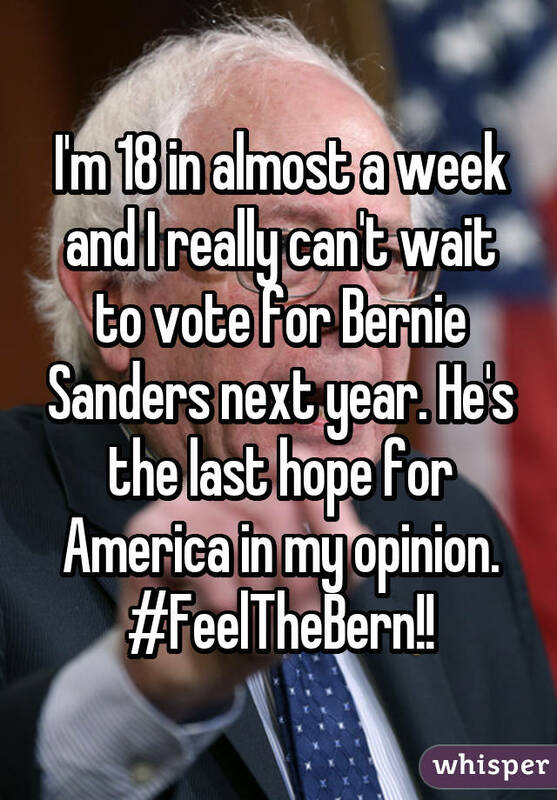 One Democratic candidate, Bernie Sanders, is getting especially high praise from young people through social media. 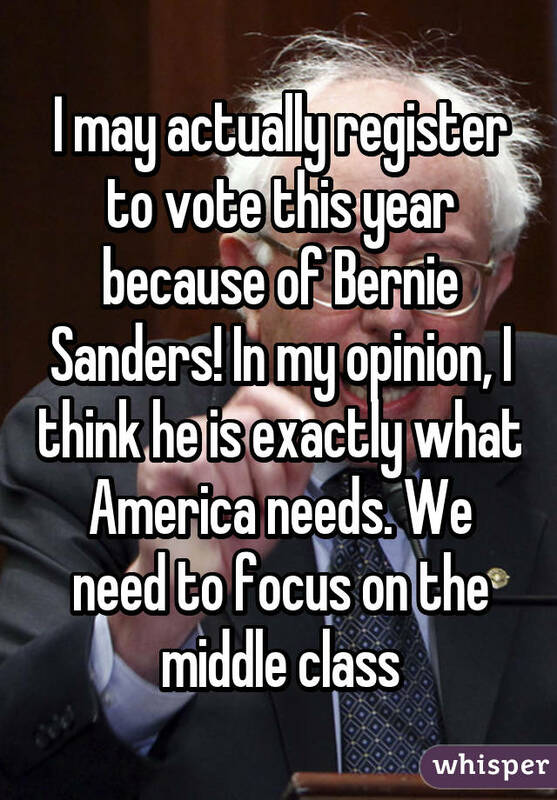 It seems new, young voters are attracted to Sanders' focus on the middle class, genuine interest in people's needs and high level of intelligence. 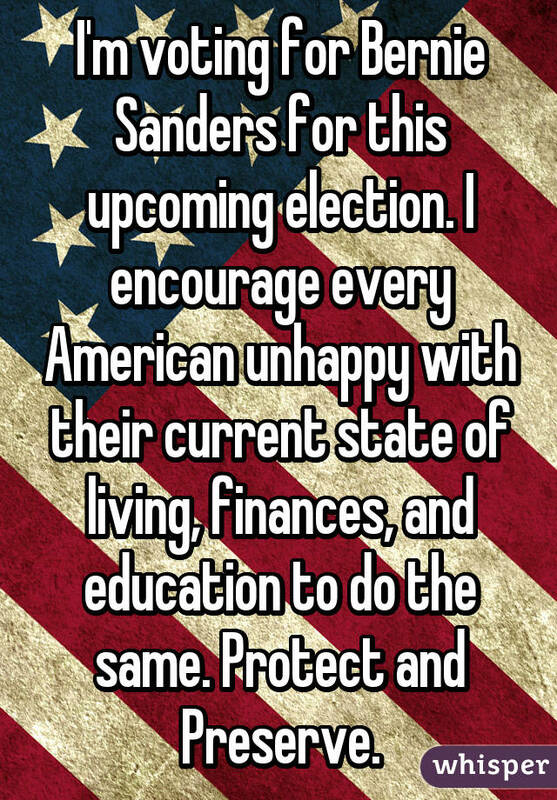 Several young people took to Whisper, the popular app that provides an anonymous platform for people to share their most honest thoughts, to share why they support Bernie Sanders for president. 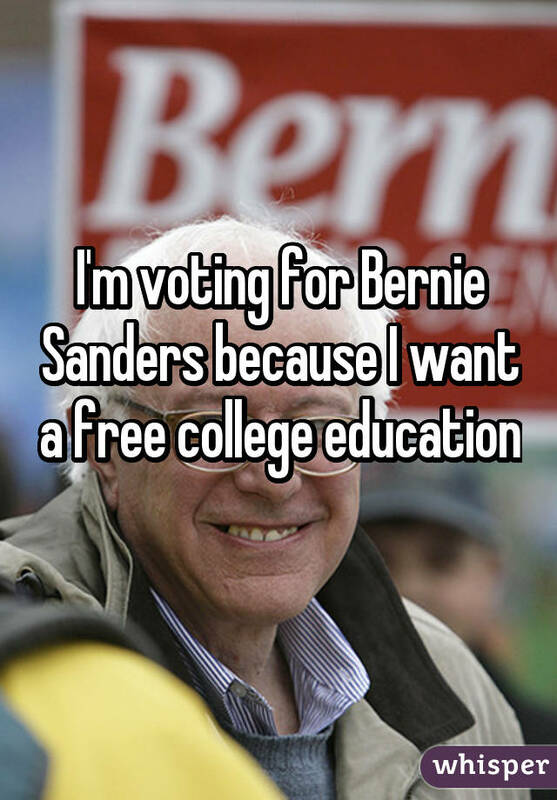 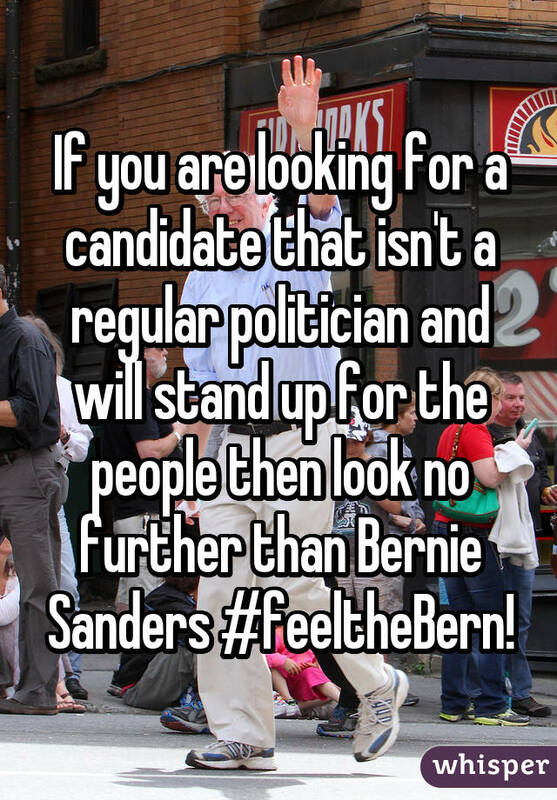 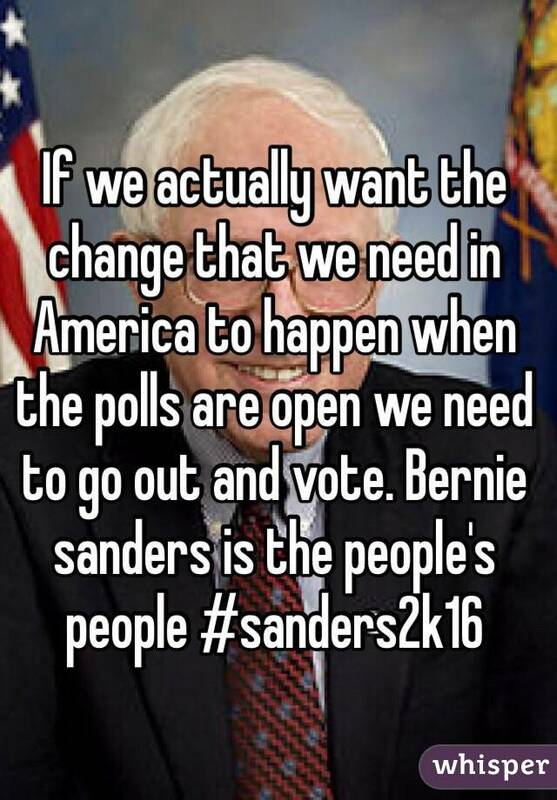 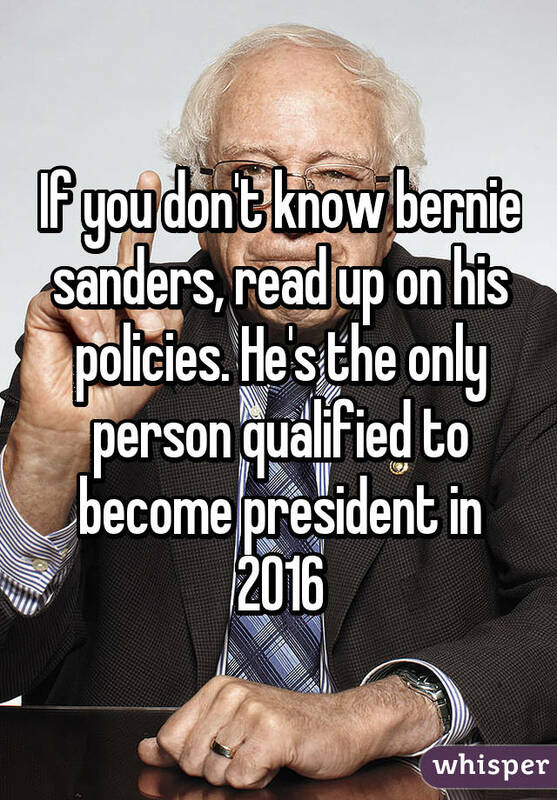 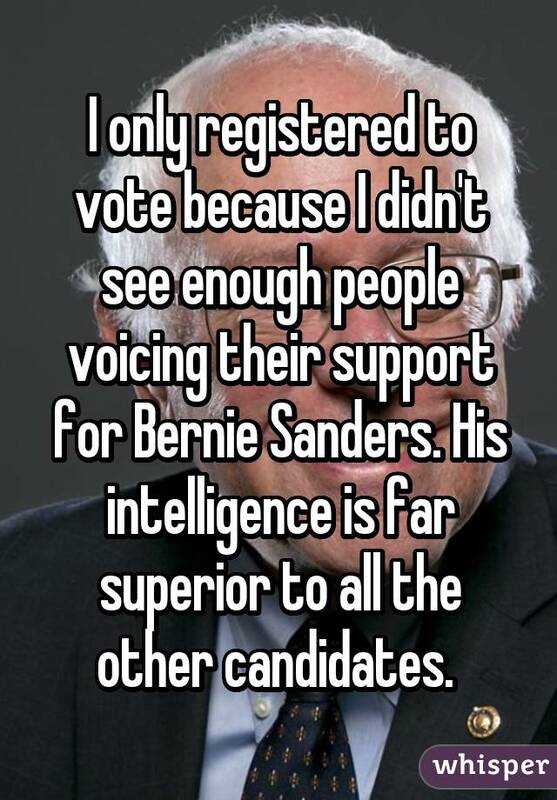 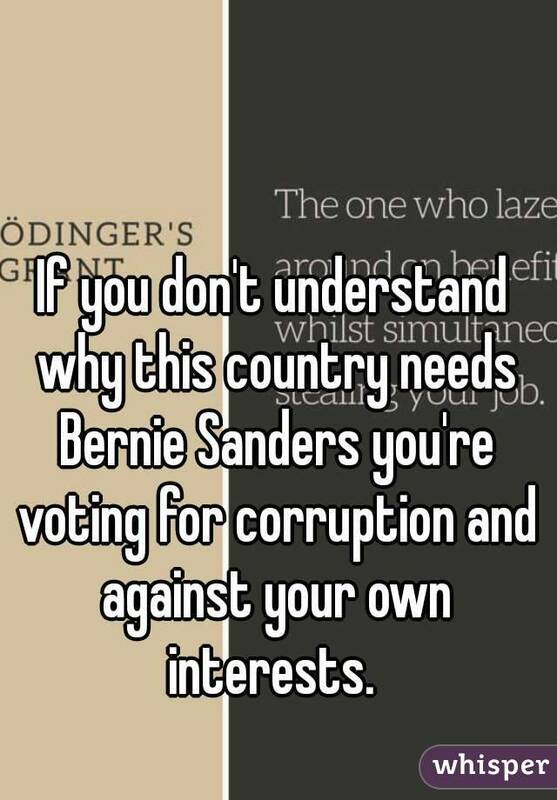 For more Bernie Sanders confessions, ​check out Whisper.